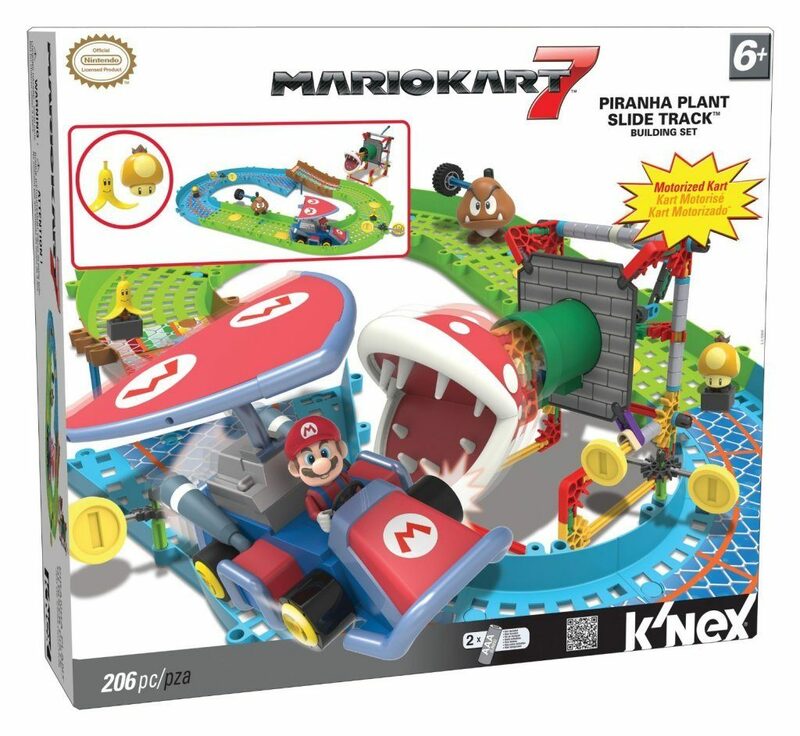 K'NEX Nintendo Mario Kart 7 Piranha Plant Slide Track Set $22.97 + FREE Shipping with Prime! You are here: Home / Great Deals / Amazon Deals / K’NEX Nintendo Mario Kart 7 Piranha Plant Slide Track Set $22.97 + FREE Shipping with Prime! K’NEX Nintendo Mario Kart 7 Piranha Plant Slide Track Set $22.97 + FREE Shipping with Prime! Head over to Amazon and get the K’NEX Nintendo Mario Kart 7 Piranha Plant Slide Track Set for just $22.97 – it’s lowest price! Shipping will be FREE with Amazon Prime or an order of $35 or more. Build Mario in his Glider Kart and race around a complete track! Moveable Piranha Plant Obstacle and Goomba Obstacle with buildable track system to make a complete loop with a jump.